Show your graduation, group, or team photo with an embossed photo frame. It features the presidential seal in gold embossed on black museum-quality matting. Framed in Williamsburg moulding, crafted in solid hardwood with a mahogany furniture finish and an inner gold lip. Perfect for desk or wall display of a 5 x 7 portrait style photo. Remove the mat do display an 8 X 10 photo. Approximate Overall Frame Size: 9.75"w x 11.75"h.
Wood Frame by Spirit. 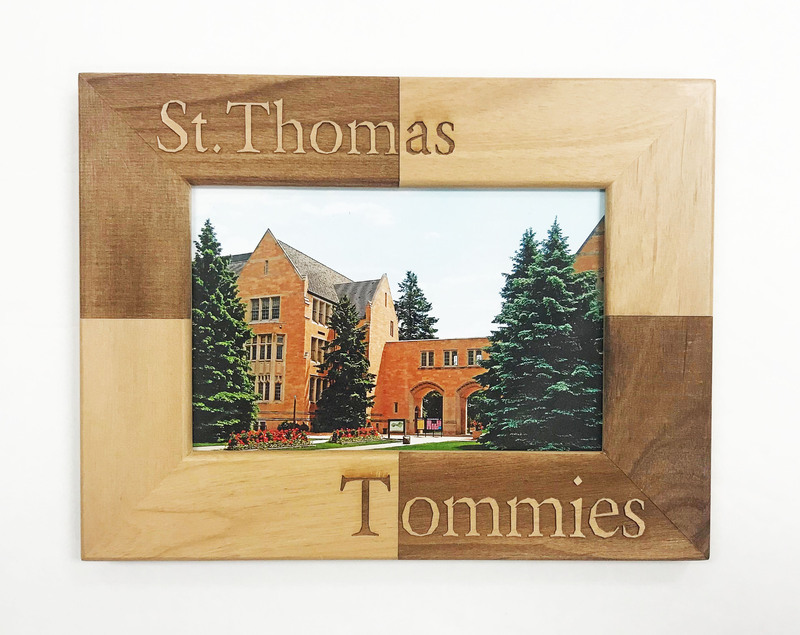 "St. Thomas Tommies" holds a 4x6 photo.